Maid in Hoboken » We’re Guttenberg, New Jersey’s Top Choice for House Cleaning Services! We’re Guttenberg, New Jersey’s Top Choice for House Cleaning Services! Maid In Hoboken is proud that residents of Guttenberg, New Jersey have helped make us Yelp’s #1 housecleaning service in customer satisfaction in New Jersey! We can’t say we’re surprised we’ve claimed this honor, given the resources we invest in providing the best house cleaning service anywhere. We thoroughly screen and conduct extensive background checks on all our team members to ensure their dependability, honesty and dedication to customer service. We then provide our cleaning crews with the highest level of professional training in cleaning technologies, and equip them with the highest quality professional cleaning tools. That’s why Guttenberg residents from the Galaxy towers to Kennedy Boulevard, and from Woodcliff to West New York, choose Maid In Hoboken for all their house cleaning needs, from move-in to move-out cleaning. 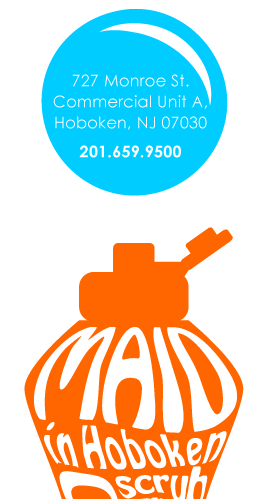 Made In Hoboken offers competitive rates and customized cleaning service plans so Guttenberg residents can tailor the cleaning service to meet their needs and budget, including weekly, bi-weekly, monthly or special occasion cleaning service plans. We handle every kind of cleaning task, from mopping, scrubbing, dusting and silver polishing, to changing linens, straightening playrooms, replacing burned out bulbs, and any of 1001 other house cleaning requirements. In addition to offering the best house cleaning services in Guttenberg, we also offer commercial cleaning services, keeping offices spotless and welcoming! If you haven’t heard about us, ask your neighbors, or visit our storefront on the corner of 8th and Monroe in Hoboken. Discover the difference we’re making in the quality of life of residents throughout Guttenberg with our professional cleaning services!